Here at Craft Gin Club, we love nothing more than sipping on a pretty gin cocktail! And now spring has made its beautiful appearance, we’ve teamed up with the lovely Lovely Drinks team to show you how to craft easy, extraordinary floral garnishes for all your spring cocktails. we wanted to show you how to add some floral fabulous-ness to your cocktails! Make sure you know that right flowers to pick in our floral garnish guide and then watch our short video to start decorating your tipples! 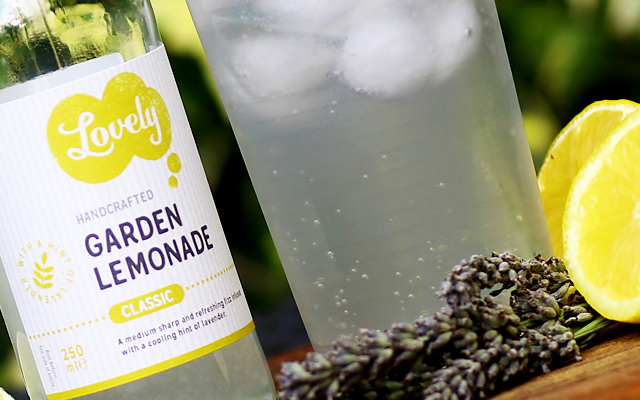 Inspired by the Lovely Drinks Garden Lemonade in our member’s April Gin of the Month box – a blend of fresh lemon juice, sparkling water and just a touch of garden-fresh lavender – these ice cubes are easy to make, super pretty and the perfect garnish for our April’s Bumblebee cocktail. Sprinkle a few dried lavender flowers into each segment of the ice cube tray. Fill the tray with water (warm water will yield clearer ice cubes) and freeze. Drop the ice cubes into your next cocktail or mocktail for a spring-like effect. You’ve likely seen a Martini served with an olive on a cocktail stick, but floral cocktails deserve something special, too. This garnish perches perfectly on the rim of elegant cocktail coupes, or can rest lightly in the fizzy glory of a Lovely Drinks Elderflower & Rose (perhaps with a measure or two of gin added for good measure!). Pick out three or four rosebuds. Being very careful with the flowers (they break easily!) skewer the buds one at a time, leaving a bit of the skewer free at either end. Perch on the edge of a cocktail coupe or drop into your cocktail.